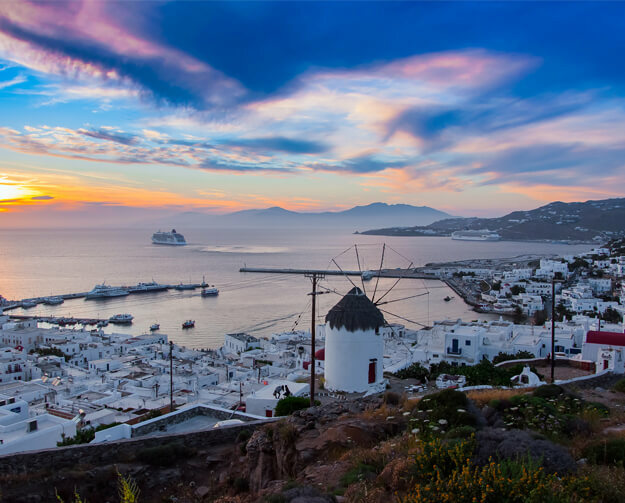 Greece’s Mediterranean climate and captivating culture are just a couple of the reasons why thousands of visitors flock to its shores every year. With an abundance of stunning natural scenery, fascinating historical sites, intriguing mythology and flavoursome cuisine, it’s not difficult to see why this archipelago is one of Europe’s most popular holiday destinations. 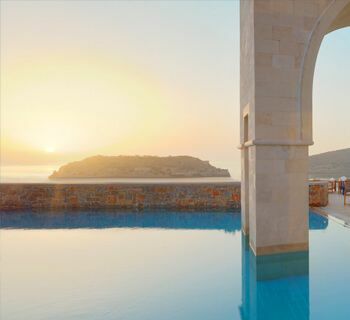 Treat yourself to one of Azure’s luxury hotels in Greece for a trip you’ll never forget. With their idyllic shores, beautiful towns and sleepy fishing villages, the Greek islands can make the perfect location for a relaxing holiday. Each island is unique, with its own distinctive landscape, cuisine and culture. For those wanting an active break, there are pursuits on offer ranging from diving and kitesurfing to cycling and trekking, while nature lovers can explore lush forests and keep a lookout for creatures including sea turtles and dolphins. For some unadulterated rest and relaxation, make your way to the many world-class beaches, while if you want to step back in time, you can explore the ancient Greek ruins and Minoan palaces that dot the islands. Crete, with its mountainous interior, abundant vineyards and golden beaches, is a popular place for a relaxing break. Explore the picturesque town of Elounda on the north coast. With its handsome fishing harbour, lively centre and stylish eateries and bars, it’s not hard to see why this spot attracts discerning holidaymakers. Corfu is home to top-class resorts too and there is plenty to explore on the island, from its fertile, verdant interior to its sheltered coves. Greece’s capital city, Athens, combines ancient history with modern-day developments. Must-see attractions include the awe-inspiring Acropolis, comprising a 100-metre-tall rock of limestone, the famous ruins of the Parthenon, Erechtheion, the Temple of Athena Nike and Propylaia. Visit the Acropolis Museum and National Archaeological Museum for a further taste of the country’s fascinating past. The rest of the hilly Greek mainland is home to even more ancient attractions, including the spectacular oracle at Delphi, the surreal monasteries of Meteora and the Byzantine mosaics at the Osios Loukas monastery. For some of the country’s best beaches and an array of other attractions, make your way to Halkidiki in the north. As well as sparkling sands, this region offers scenic vineyards, historical sites and terrain that’s ideal for exploring by bike. With so much choice, why not book one of our 5 star hotels in Greece for your perfect getaway? Contact us today by phone or live chat to find out more about our luxury holidays in Greece. We’ll be delighted to help you plan your break in this stunning part of the world. Whether you want to explore the mainland, venture to the islands or do a bit of both, we can provide tailor-made packages that suit your needs and desires. At Domes of Elounda, every attention to detail has been given to help you relax, indulge and enjoy yourself while holidaying in this beautiful location. Families and couples are invited here to experience delicious cuisine, sumptuous accommodation, a tranquil spa and a range of fantastic facilities. 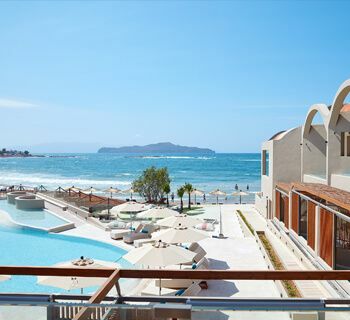 A sophisticated and chic resort, Domes Noruz Chania, Autograph Collection. is named after a traditional festival that celebrates the coming of spring after the winter months. This reflects the spirit of the hotel, which ensures its guests leave feeling re-energised and reinvigorated after a luxurious stay. Stylish and elegant, Sani Dunes, Halkidiki, really brings a luxury edge to your Greek getaway. Sani Asterias, Halkidiki, is one of five top-class hotels on the eastern coast of Greece. The most intimate and exclusive hotel of the thousand-acre Sani Resort, it’s the perfect place for a peaceful getaway while still being within easy reach of area’s restaurants, bars and beaches. Offering boutique-style accommodation, guests can choose from a selection of idyllic suites, each with its own private terrace and hot tub from which to enjoy the coastal views. Porto Sani, Halkidiki, part of the Sani Resort complex, is marked by its understated elegance and chilled-out vibes. Calming golds and celestial blues complement the natural wood and linen materials used throughout the suites, and each room boasts its own balcony or outside area with a hot tub. 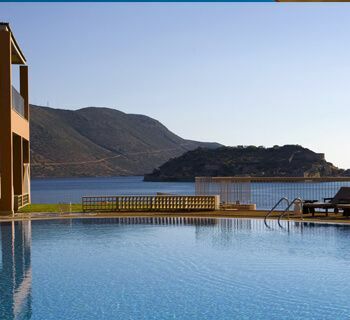 Immerse yourself in the sprawling resort of Porto Elounda Golf & Spa, Elounda, and enjoy sun, sea and sand. With a fabulous beachfront setting and awe-inspiring scenery, it’s no wonder Mykonos Grand is such a popular choice for a luxury holiday.